Zhang Yi received the Ph.D. degree in mathematics from the Institute of Mathematics, The Chinese Academy of Science, Beijing, China, in 1994. Currently, he is a Professor at the College of Computer Science, Sichuan University, Chengdu, China. He is the co-author of three books: Convergence Analysis of Recurrent Neural Networks (Kluwer Academic Publisher, 2004), Neural Networks: Computational Models and Applications (Springer, 2007), and Subspace Learning of Neural Networks (CRC Press, 2010). He is a Fellow of IEEE. He is the Chair of IEEE Chengdu Section (2015 ~). He was an Associate Editor of IEEE Transactions on Neural Networks and Learning Systems (2009 ~ 2012), and an Associate Editor of IEEE Transactions on Cybernetics (2014 ~). He is also a Fellow of CAAI. His current research interests include Neural Networks and Big Data. He is the founding director of Machine Intelligence Laboratory. 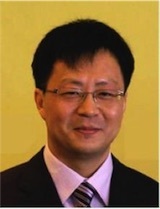 He is also the founder of IEEE Computational Intelligence Society, Chengdu Chapter.